A Baker's cyst is also called a popliteal cyst and is a sac filled with fluid that forms behind the knee, because of swelling of the gastrocnemius-semimembranosus bursa. It causes the skin to bulge and feel tight at this spot. 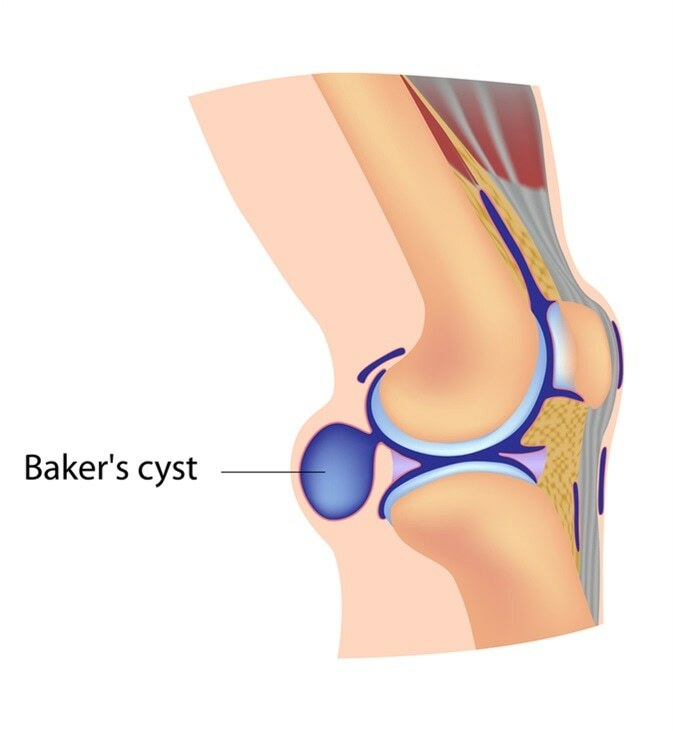 In adults, communication between the Baker’s cyst and the knee joint cavity is common, and the cyst is usually a complication of knee joint disease such as a meniscal tear, knee joint trauma or arthritis, or rheumatic conditions. Other causes include cartilage tears, joint infections, and some forms of synovitis. They are most often found between the ages of 35 and 70 years. In children, the cysts are primary and do not communicate with the knee joint, unless associated with knee joint disease or injury. They are most common between 4 and 7 years. Because they are often asymptomatic, Baker’s cysts may be detected on examination or while imaging for some other disorder. Sometimes it is painful or uncomfortable, especially when the knee is used, and may prevent the joint from flexing or extending completely. Foucher’s sign refers to the disappearance of the cyst at 45 degrees flexion of the knee. Curious case of the lost contact lens - after 28 years! Baker’s syndrome is diagnosed by the history and physical examination with the knee in full extension, and a positive Foucher’s sign. If uncertain as to the diagnosis, the physician may request imaging with an X-rays, ultrasound and MRI scanning particularly if surgery is being planned. In most cases, the cyst is asymptomatic, and treatment is not required. For mild symptoms, rest, elevation of the limb, and avoiding hard exercise, will lead to cyst resolution over time. However, severe symptoms may require arthroscopic excision or aspiration of the cyst. Corticosteroid injections are also useful. 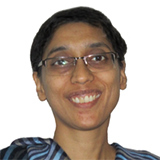 Underlying disorders should be treated appropriately.